Amy McDermott - St. Louis Equity Fund, Inc.
Amy McDermott joined the St. Louis Equity Fund in 1999 and currently oversees the administrative operations of the Equity Fund. In addition, she is responsible for public relations of the organization including the production of the annual report, investor communication materials, special events, groundbreaking events, and grand opening events. Amy serves as corporate Secretary for all affiliated entities of the Equity Fund, and is also responsible for the development of marketing materials, presentations, and maintaining the St. Louis Equity Fund, Kansas City Equity Fund, and Gateway CDFI websites. In addition, Amy assists in the review and audit of all resident files to verify compliance with Section 42 rules and regulations, and assists partners with compliance questions and inspection concerns. Amy has obtained her Section 42 certification from Affiliated Compliance and Consulting. 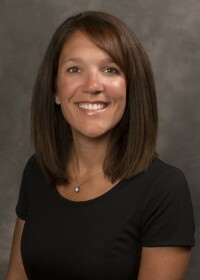 Amy received her Bachelor of Arts in Business Administration from Lindenwood University in 1997. Prior to joining SLEFI, she worked at Towers Perrin as the Human Resources/Benefits Coordinator. Amy serves as an Advisory Member on the Horizon Housing Foundation Board of Directors, Chair of The Salvation Army Midland Division’s Tree of Lights Committee and is a member of The Salvation Army Midland Division’s Executive Committee and Advisory Board.